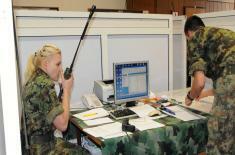 In the Simulation Training Centre in Belgrade, there is currently a computer assisted exercise Timok 2018 being conducted by the 31st Infantry Battalion. The topic of the exercise is an Infantry battalion in assault. 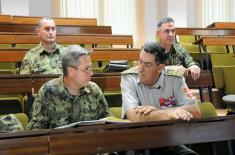 It is a joint activity of the Army Command, the units of the 3rd Army Brigade, representatives of the Red Cross of Serbia, International Red Cross Committee and the Simulation Training Centre. 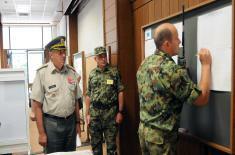 Today, the Chief of General Staff of the Serbian Armed Forces, General Ljubiša Diković, visited the Simulation Training Centre, and assured himself of the capabilities of the commands and units engaged in the exercise to respond to all envisaged tasks and he expressed his satisfaction with the exercise. 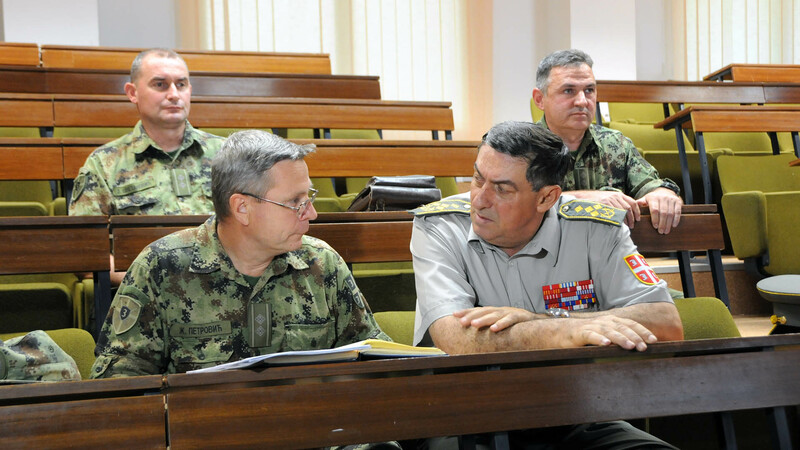 The five day long exercise is managed by Colonel Dragan Antić, Chief of Staff of the Third Army Brigade, and the Commander of the unit conducting theexercise is Lieutenant Colonel Slađan Radivojević, Commander of the 31st Infantry Battalion. T his exercise is an opportunity to test the capability of the infantry battalion command to plan, organise and execute actions in a simulated environment. Today’s exercise also tested the knowledge of the principles for the use of units and assets, and the collaboration with other structures of defence system and elements of civilian environment. 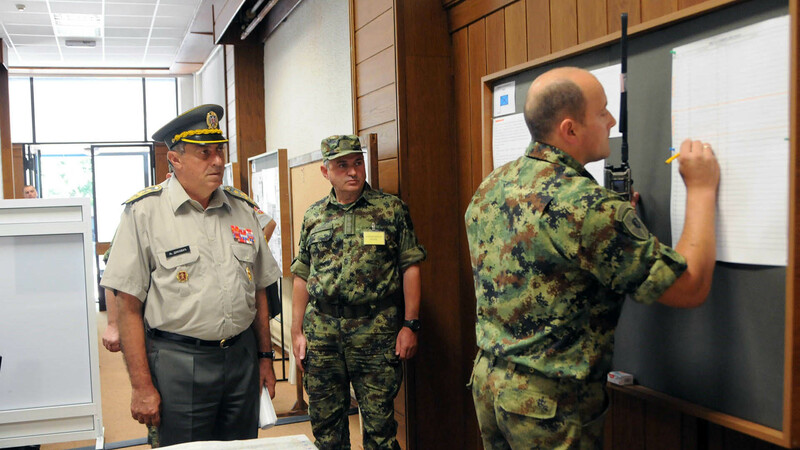 The participants exercised practical actions, techniques and procedures and the quality of decisions made at all the levels of command was daily analysed. Computer assisted exercises are unavoidable form of practical training of the units’ commands of the Serbian Armed Forces. By conducting such activities, the Simulation Training Centre has gained experience in modelling, preparation and execution of such exercises, while the units have gained the experience in conducting exercises in a modern way.